The nationalist Hungarian government refused to approve the operations of an American graduate school founded by philanthropist George Soros, forcing the university to move its primary campus from Budapest to Vienna, the Washington Post reports. 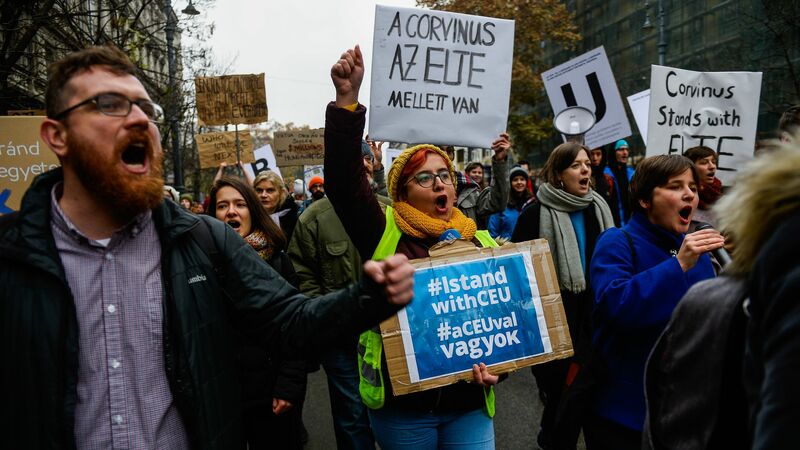 The big picture: Central European University has been targeted by the right-wing Hungarian government due in part to its association with Soros, whose liberalism stands in stark contrast to the increasingly authoritarian rule of Prime Minister Viktor Orbán. Orbán has sought to transform Hungary into what he calls an "illiberal state" by cracking down on independent institutions and civil society, forcing many of his allies — including the Trump administration and the conservative European People's Party — to decide whether to speak out in defense of western values.